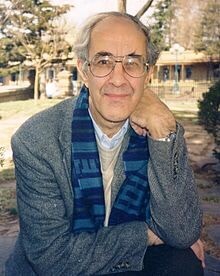 On this second Sunday of Advent, waiting expectantly for the Babe in the Manger to show up mysteriously and gently into my life and the lives of my family and friends, I am encouraged by my favourite spiritual life guide, the late Fr Henri Nouwen. Unlike many believers today who have capitulated to the secularizing of The Christian faith, I choose with Fr Henri to believe there is more than trying to make heaven on earth. There is another Reality I and millions of others long for as did Fr Henri and others who have departed this life. Call me naive, call me a fool, call me whatever you want but I long for More than this life gives. You On this second weekend of Advent I choose with Fr Henri to claim my identity as one of God’s beloved sons, and live fully today with a view to meeting Jesus face2face someday, and sharing the story of how my life and His worked themselves out over however long I am blessed to live. Posted on December 4, 2016, in family, Live Large, Love, spirituality, Uncategorized. Bookmark the permalink. Leave a comment.